Barrel aged gin has been gaining popularity the past couple of years. It started perhaps with Seagram’s Distillers’s Reserve and then a handful of craft distillers got in on the act and more recently Beefeater began producing one. Some distillers use charred new American or French oak barrels, others use barrels that once held red wine, whisky or bourbon, and even Lillet, but I have to admit, on the surface barrel aging gin seems like an odd move. I like gin, especially London dry gin, and the reason I do is because of the botanicals. I like a touch of clean bracing juniper, the freshness of the citrus, the brightness of coriander combined with delicate floral aromas. Barrel aging adds richness and roundness to spirits, not something I necessarily look for in gin. But Timo and Ashby Marshall proprietors of Spirit Works Distillery in Sebastapol are fans of gin too, and in fact, Timo told me his favorite gin was the same as mine, so I was particularly curious to try their barrel gin. Spirit Works is a family affair, run by Timo and Ashby Marshall with their little bundle of energy, Bandit, a Boston terrier who runs circles around the place. Ashby is the head distiller and she makes a base gin using organic California Red Winter wheat and a proprietary blend of botanicals. She uses classic spices like cardamom and coriander plus painstakingly hand peeled lemon and orange zest, as well as angelica, orris root and hibiscus. The gin is aged for several months in new American oak. The result is really lovely. There is a slight mellowness to the gin, but the freshness is still intact. 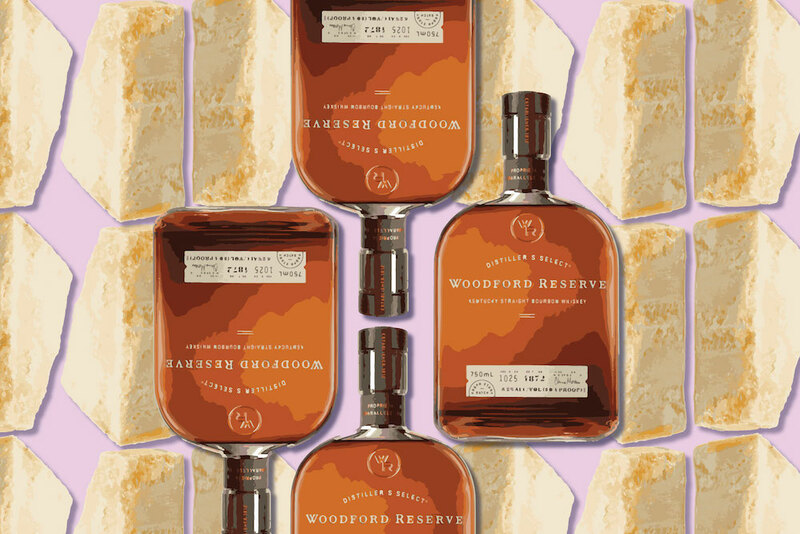 The barrel aging emphasizes those baking spices plus it layers on some vanillin and caramel. It’s a gin so smooth you can actually sip it, but try it in either a gin or a whisky cocktail such as a Negroni or a Manhattan, or use a splash of it in eggnog. I highly recommend a visit to Spirit Works Distillery, not only because you are sure to be charmed by the adorable Bandit on a tour, but because you'll get a chance to see some of the very interesting things they are doing, like hooking up headphones to barrels to see how the musical vibrations of say the Nutcracker versus Metallica affect the spirits (personally I’m rooting for the Nutcracker). You can even sign up to help with bottling if you like. And even if you only visit the tasting room you can pretty much see the entire operation from large picture windows. 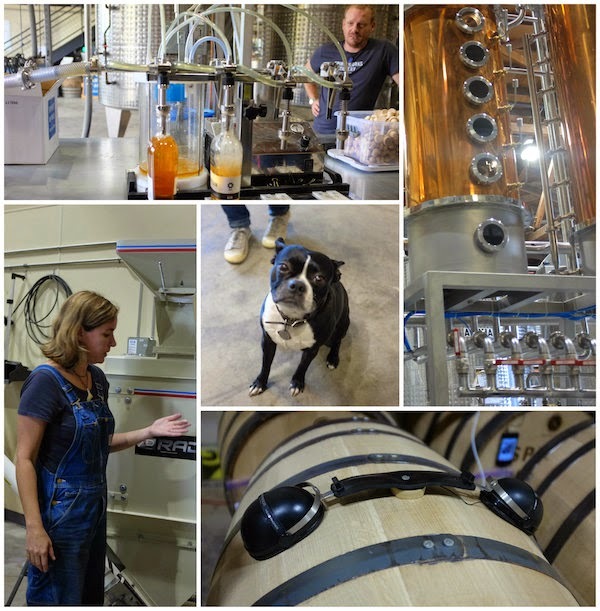 Disclaimer: My thanks to Spirit Works Distillery for inviting me to be part of the historic first bottling line for their barrel gin and for providing me with a bottle for review purposes. COPYRIGHT ©2003-2019 ALL RIGHTS RESERVED. Powered by Blogger.